A Jordanian teenager accused of trying to blow up a Dallas skyscraper was indicted by a federal grand jury in Dallas on Thursday. Count one of the two-count indictment charges Hosam Maher Husein Smadi with attempted use of a weapon of mass destruction. 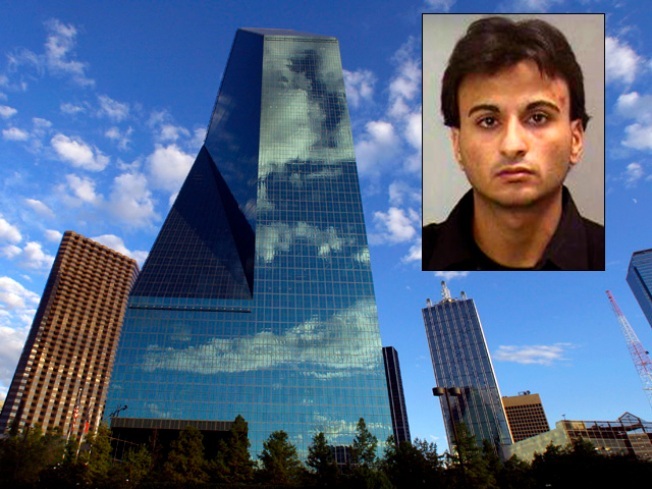 The indictment alleges that on September 24, 2009, Smadi activated a timer connected to a vehicle borne improvised explosive device located inside a parking garage directly beneath the Fountain Place office building on Ross Avenue in downtown Dallas. Count two of the indictment charges Smadi with bombing a place of public use, alleging that he knowingly and unlawfully delivered, placed, discharged and detonated an explosive device into a place of public use and government facility by activating a timer connected to the device or bomb and leaving it in the public parking garage of the building. It further alleges that Smadi did this with the intent to cause death or serious bodily injury and with the intent to cause extensive destruction of the facility, likely to result in major economic loss. If convicted, each count carries a maximum sentence of life in prison and a $250,000 fine. Smadi is expected to make his initial appearance before a U.S. Magistrate in Dallas next week.